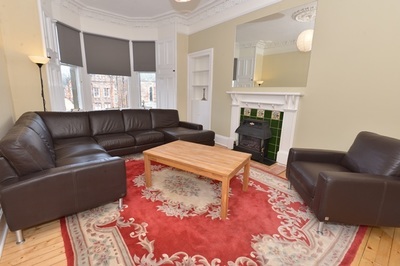 Our exceptional 2, 4, 5 and ﻿﻿﻿6﻿﻿ ﻿bedroom student flats extend over two floors, retain period features including traditional lounge, dining kitchen & two full bathrooms. NewTown, E Claremont, 4 Bed & Guest Room/study, HMO5 - 2019. 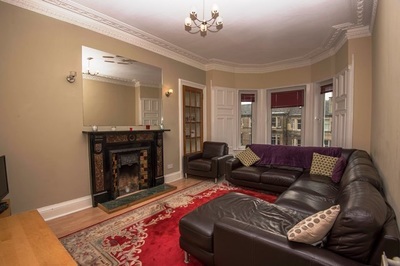 As Private Landlords specialising in Student Accommodation we operate in the premium end of Edinburgh's Student Letting. 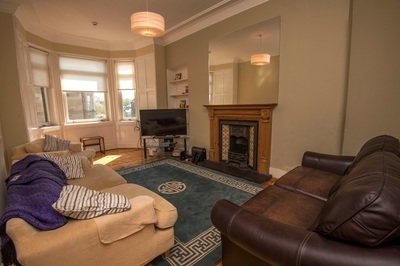 Well-managed, comfortable student homes and a relaxed living environment fosters good relationships between Landlord and tenants and, importantly, neighbours. Over the years our student tenants have continued to support this important aspect of tenement living. It is wonderful to hear a neighbour compliment our tenants in simple things like helping carry things up stairs. Direct lines of communication ensures that Quality Flats are better able to maintain our student flats to a high standard and solve any problems quickly. 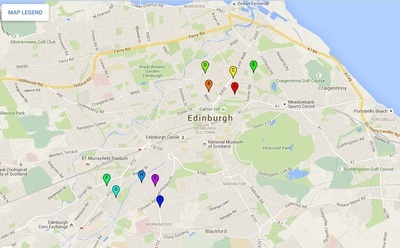 Importantly, all of our student flats in Edinburgh have the correct HMO license. 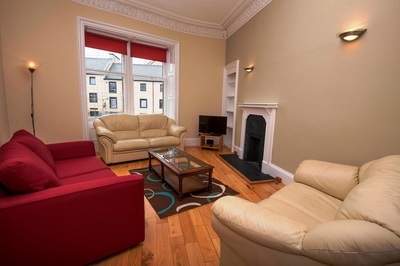 With excellent locations highly sought after by students, including as Edinburgh's New Town and Bruntsfield, and with our comfortable furnishings and decor, our traditional Edinburgh student flats are perfect for those wishing to live in Edinburgh throughout the year and enjoy the many summer events such as the Edinburgh Fringe Festival, Book Festival, that The City has to offer. 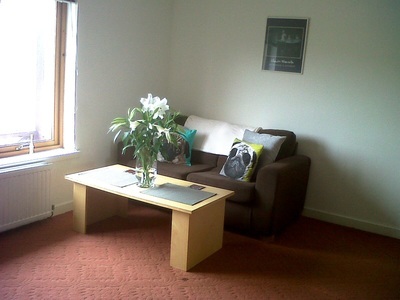 These flats are designed for living and are not run of the mill student flats. 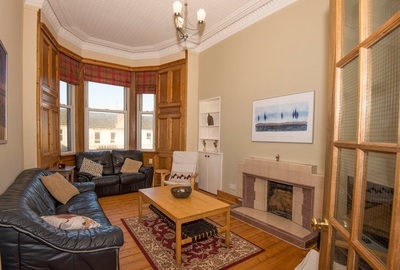 You will find the traditional layout of the classic Edinburgh tenement - high ceilings, a generously proportioned lounge and family sized dining kitchen. As dedicated private landlords, we have created our own bespoke design of apartment seamlessly blending the old with a modern upper extension. Our double upper apartments provide a second full bathroom and upper level bedrooms with stunning views across the Cityscape. 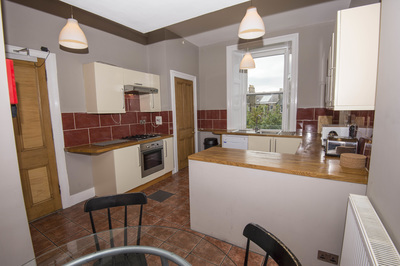 These lovely homes available for let to students studying in Edinburgh include 2 bedroom, 4 bed, 5 bed and 6 bed student accommodation. 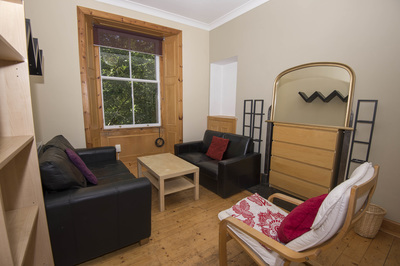 Each apartment is comfortable, clean and bright with good quality furnishings and we do look for students who will respect the properties and neighbours as we respect their desire for a home away from home while studying with one of Edinburgh's many Universities. 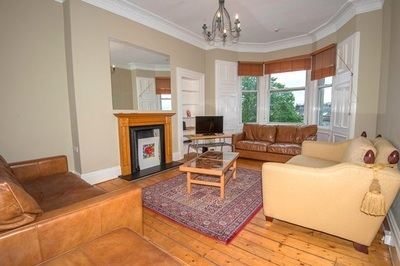 Our larger flats are all HMO licensed. 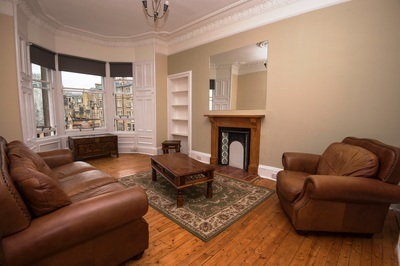 We are confident that these are the Best Student Flats you will find in Edinburgh, with the right balance value/comfort. 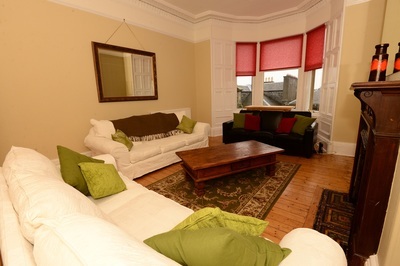 We are perfect for large groups visiting and living in Edinburgh.